"We were born in water. 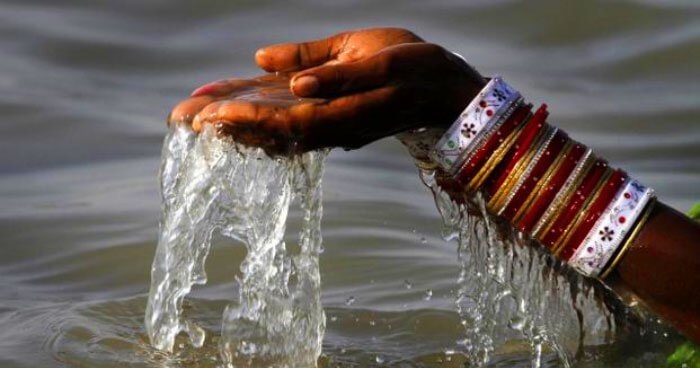 Water is our first medicine… I teach people to thank the water every day of your life… The river; the lake near your house; the glass of water you’re holding in your hand. Thank the water for giving us life." Born from the cooling steam of ancient volcanic fires, water is the life blood of our planet. Water covers 78% of the surface of the globe and fills nearly 70% of our bodies. Water flows through obstacles, removes barriers, breaks down mountains and awakens life. To many cultures (both ancient and present), water is revered as our planet’s most vital, life-giving element. Not simply as a natural resource to be taken from, but as a sacred living energy to respect, honor and learn from. 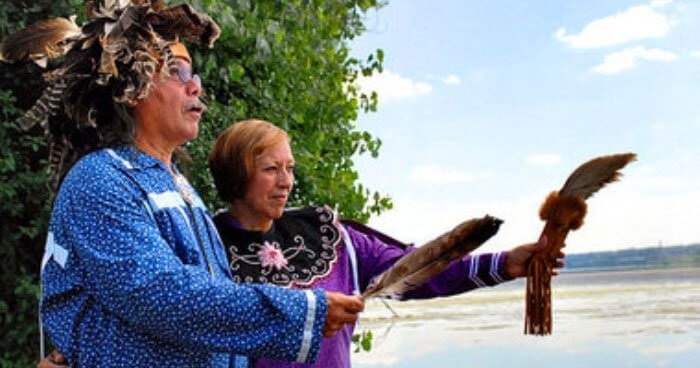 Throughout the ages, the practice of gathering to bless and be blessed by water has been an integral part of our lives – consecrating key milestones of our journey while deepening our connection to the natural world and our own true nature. 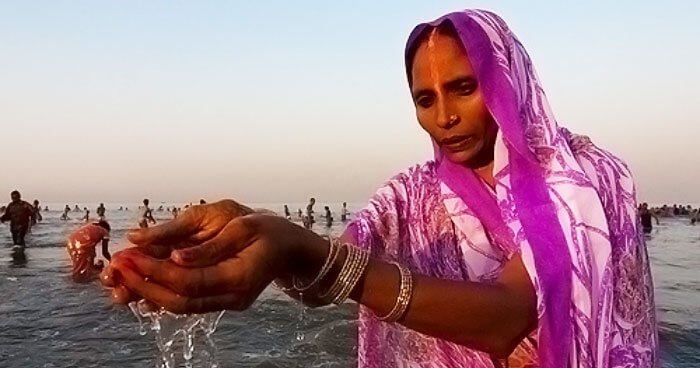 Can our Prayers help Heal the Water? While science and life experience reveal that our direct contact with water has multiple benefits to our own physiology, cellular make-up and state of being, it’s interesting to consider what impact our interaction with water has on the water itself – and specifically if our prayers and intentions can help heal the waters of our planet. Currently, water is one of our greatest causes for planetary concern. 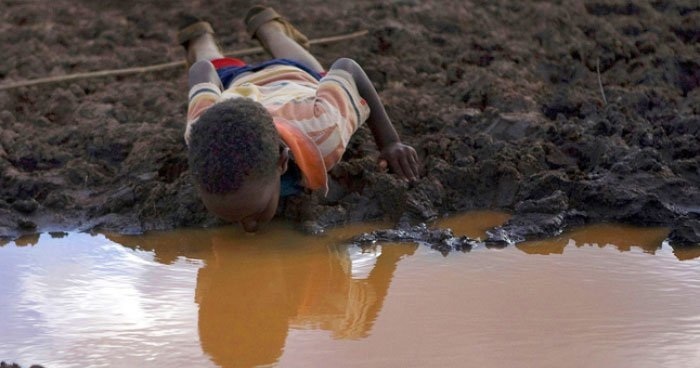 Over 800 million people around the world lack access to safe water and each year over 840,000 people die from water related disease (approximately one child every minute). In many ways, the challenges facing our planet's waterways seem insurmountable. We’ve come to realize that doing more of what we have always done will not solve the problem and that even incremental improvement is no match for the compounding pace of the crisis. "What if the way we respond to crisis is part of the crisis?" What is needed is transformation in the truest sense – the emergence of completely new ways of seeing, being with and responding to the challenges we face. It’s powerful to consider that among the many pioneering global initiatives that are rising to restore and protect the waters of our planet, is a return to the practice of gathering in groups large and small to bless, meditate and bring positive energy and intention of healing to the water. From the work of pioneering cellular biologists such as the author of Biology of Belief, Bruce Lipton, we know that the energy of our thoughts and feelings are not contained inside of our mind and body, but are 'broadcast' in an electromagnetic field which stretches well beyond our physical form. The heart generates the largest electromagnetic field in the body (about 60 times greater in amplitude than the brain) and when two or more of us gather with a shared energy of intent, that the energy multiplies, forming a ‘collective field’ of harmonic resonance (much like when multiple instruments strike the same note). From a wide variety of experiments harnessing the collective intent and meditative energy of groups in high crime areas (in war torn countries; in support of individual health challenges), we have also seen that our collective thoughts and energy have a measurable impact on the physical world around us (crime rates lower, peace treaties are signed, miracle healings occur). "Our consciousness is the field that governs the physical world. As we change the field, the world around us changes." Water carries sound five times more efficiently than air and happens to be one of our most receptive and electromagnetically conductive elements. 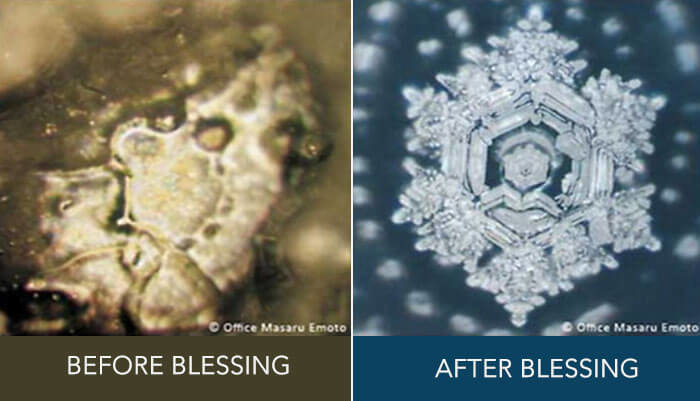 Based on the pioneering work of Dr. Masaru Emoto (whose research in the 1990’s explored the transformational impact of words, prayers, music and environment on the crystalline structure of water), we have learned that water has the capacity to absorb, carry and respond to our intentions. If the words 'Love and Appreciation' taped to a laboratory jar of polluted water have the capacity to transform the crystalline structure of that water into pristine wholeness and symmetry, is it possible we could galvanize the collective energy of humanity to channel our love and gratitude to heal the living waterways of Earth? Is Our Intention Enough to Create Lasting Change? While emerging science suggests the possibility of impacting the vitality of water with our intention, we are still learning the long term benefits and how to do this in ways that bring lasting, global change. However, even if we find that our intention alone is not enough to create lasting change, the truth is we don’t necessarily need it to be. Because what often naturally rises from deep conscious intent… is fresh, empowered, transformative ACTION. While the simple act of blessing the water may initially appear passive or subtle compared to the massive real world action that seems required, when we take time to expand our sense of connection and relationship with anything (water included), the actions that spring naturally from that space are almost always with a heightened sense of clarity, inspiration and alignment. "Ultimately, meditation is not sitting on a cushion. The true essence of meditation is what we do in our lives, in the world, after sitting on the cushion!" If we apply this thinking to the mission of healing our planet’s water, we will see that that purpose of blessing and bringing our healing intentions to the water is not just to see if our mind can elevate the crystalline structure of the substance itself, but to elevate our own insight, connection and ability to respond with who we are and our real actions in the world. For humanity to truly play our role in restoring and preserving Earth’s waters for the future of our planet and all of her life forms, many of us will most certainly be called into dynamic, profound action. Action which is not predictable based on what we have seen or done in the past, but radical, pioneering action which rises from a clear sense of Vision and a generative sense of being connected to the very Source of life we wish to preserve. Einstein taught us that “we can’t solve a problem with the same consciousness that created it”. 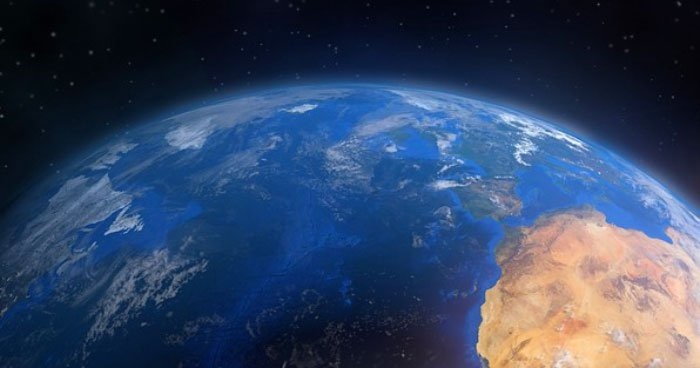 One of the most powerful ways to access the consciousness which we now need to respond to Earth’s challenges is by bringing our selves into the present moment, and into a state of genuine connection with her elements – just as indigenous cultures from many lands and traditions have done throughout the ages through their blessings. When we bless the water, our gratitude begins a journey into the water itself, but it also infuses our consciousness, ideas and creative impulses. By taking time to envision the waters of our planet CLEAN and CLEAR, FRESH and FULL of LIFE, we begin restoring our right relationship to the essence of water within ourselves. As we hold this vision of water in its highest form, we set into motion fresh thought patterns that are not encumbered by the problem, but are free to move in the direction of new pathways and previously unseen solutions. From there, our main responsibility is to listen… and be willing to follow the fresh impulses that rise! A great example of this is the growing wave of surfers around the world who have translated their love of the ocean into super creative, real world action devoted to protecting and preserving the life within it. Organisations like Surfers for Cetaceans, have expressed their ‘water blessings’ in unique awareness-building ways (including films, music, global school tours, ocean pilgrimages and sacred water ceremonies in areas where marine slaughter normally occurs) that have ignited profound new levels of positive marine stewardship across the world. And over the past several years, the element of water has found champions and visionary activists in many walks of life – science, art, sport, government, entertainment, religion and indigenous communities – whose connection to water is now giving birth to breakthrough technologies and a renewed sense of reverence and responsibility to support our water’s vitality and all of her life forms for future generations. This commitment, translated into action, may be our greatest form of blessing. Today my son and I paused at the waters edge before paddling out for a sunrise surf together. This was our prayer and blessing. 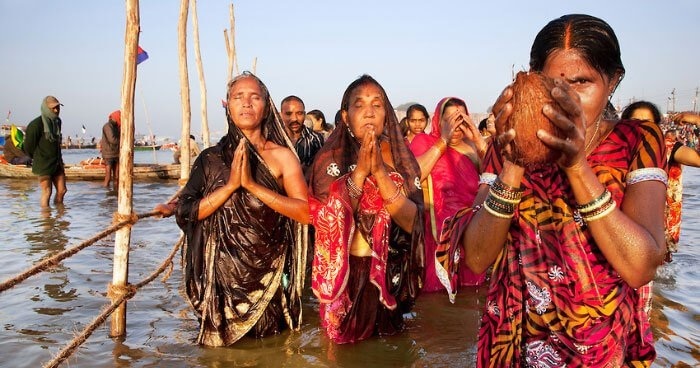 At roughly the same time, a Maori friend of ours in New Zealand sang her traditional 'Karanga' welcome song to the whales as she walked along her shores, while thousands gathered in Rishikesh, India, to bring their prayers and blessings to the holy waters of the Ganges River. We each have our own unique way to build the energy of love and connection with the elements of life. While science continues to find ways to measure the impact of our energy and intention on the water itself, we each have the opportunity (and responsibility) to allow our intentions to move us into bold inspired actions. To bring our blessings to the water and to listen to what water itself has to say… and be ready to respond. What is your unique way to bring your energy, intentions and actions of healing to the water? On the Equinox, Saturday March 19th 2016, at 5pm Pacific time, join us for a Global synchronised meditation and water blessing as we celebrate the waters of the World for World Water Day (World Water Day is Tuesday March 22).